Paper Anthem is the brainchild of Fayetteville, Arkansas twenty-something Joseph Hitchcock. The multi-instrumentalist has been making music for as long as he can remember, first taking piano lessons at the age of six. From there, the son of a blues singer learned to play the guitar and found his voice and, after dabbling in roles in other bands here and there, decided it was time to work on some of his personal material. 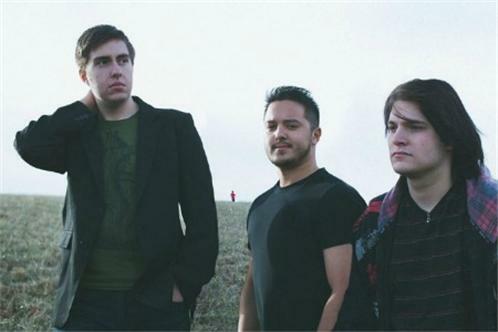 Though the name itself wasn't chosen until November 2014, Paper Anthem began as an emotional outlet in November of 2013 when Joseph first started playing shows to mostly empty bars. Nowadays, the bars aren't so empty. Though the songs weren't written to connect as an album, they were conceived during a depressive period in Hitchcock's life. His subconscious had found a way to abstractly bottle his thoughts and emotions. Looking at the album as a whole, however, themes emerge and become readily apparent. It appears to take place on an empty Earth where a single soul wanders the desolation in search of something beautiful that, as it turns out, was actually inside his or herself the entire time. This is, perhaps, a reflection of Joseph's feeling of being stuck in a small town, coupled with a long-time fascination with science fiction and fantastical video games that give his lyrics such grand imagery. Taking inspiration from the likes of Snow Patrol, Foals, Tegan & Sara, Coldplay, Brian Eno, Tom Vek, and more, Hitchcock fuses elements of pop, big beat electronica, piano rock, and even math rock. "Some of my songs are inspired by the way two guitars often work together in math rock, but done on piano instead with my two hands" he says. "When I was a teenager, I listened to a lot of drum and bass and big beat electronica, and I think the way those songs add instruments one-by-one and build influenced me greatly, because I find myself doing that on songs like "Cardboard Cove", "Pantheon", and "Speechless".